Success is not about being perfect. It’s about effort. When you bring that effort every single day, that’s when transformation happens. That’s how change occurs, and you make it big in life. The following persons are living, breathing examples of how you earn success through dedication and hard work. Here are three personalities who overcame their lowest moments in life to become the stories of success that they are today. Kumar is the first Indian wrestler to get two Olympic medals for the country. He was born to Diwan Singh, a driver in MTNL Delhi and Kamla Devi, a housewife in southwest Delhi. He received an introduction to wrestling at a young age through his dad and cousin. But the road from Najafgarh to the London Olympics was rather bumpy for the future champion due to the lack of funds in the family. However, the real struggle began when poor wrestling training facilities in India added to the financial hardships of the family. To keep up his strength and dietary supplements, his family regularly sent him fresh fruits, tinned milk and ghee. Moreover, during his first Olympic competition, he won three bouts within 70 minutes without a masseur. Presently, apart from his spectacular collection of medals, he holds three prestigious national awards and is a commercial ambassador for three different brands. Nawaz was born in a joint family of farmers in a small town and tehsil in the Muzaffarnagar district of Uttar Pradesh of India. From a young age, he watched performers at local carnivals and folk performances with enchantment. After watching a play in Delhi, he decided to enroll in the National School of Drama (NSD) to pursue his dreams, leaving behind his chemist job. While living and studying in Delhi, he worked as a watchman to support himself. After school, he headed for Mumbai where he experienced some of his toughest and lowest moments. Due to the industry’s infatuation with fair looks and a certain physique, Nawaz was often overlooked in auditions. Constant rejection and a lack of a source of income resulted in him becoming broke. But he never gave up, working as an extra in Bollywood films and attending the occasional acting workshops, all the while living in a tiny room he shared with four people and cooking food instead of paying rent. 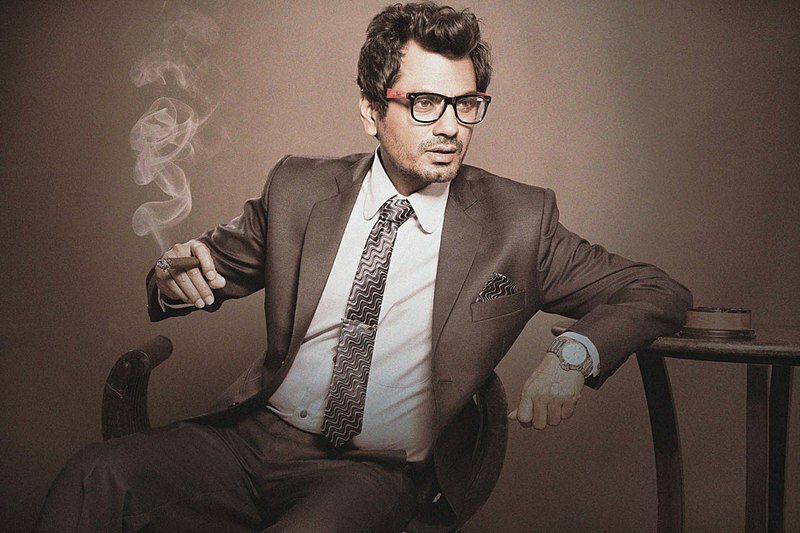 Over the years, the 44-year-old climbed the Bollywood ladder by acting in supporting roles in movies like “Kahaani” and “Peepli Live” to playing the lead in critically acclaimed movies like “Haraamkhor” and “Kick.” Nawaz’s success is not only limited to critically acclaimed films. Recently, he landed a huge PokerStars endorsement deal, which includes nationwide TV commercials. Endearingly called the “millionaire barber,” Ramesh Babu went from being the owner of his family’s poor hair salon business to building a super successful car rental business. The son of a barber in Bangalore who died when he was only seven years old, Babu’s mother raised him under dire circumstances. So, young Ramesh had to choose between reclaiming the family business or continue studying. With little savings after years of working, combined with a bank loan, he decided to buy a car. But the piling debt forced him to rent out his car, which led him to enter the car rental business. In the following years, he acquired several small cars, but the competition was intense, and he lost money. So, he decided to invest in luxury cars and was the first one to do so. His never-ending will to work hard resulted in his net worth accumulating to a whopping $2 billion. However, he still works at his family salon so that he never forgets his humble beginnings. Life does not deal the same cards to everybody but pushing against and overcoming difficult circumstances is in our hands. As said by Confucius, the wise Chinese philosopher, “It does not matter how slowly you go as long as you do not stop.” Just live by this quote and let the magic begin.